James specialises in contract and commercial disputes. He has a particular expertise with large construction and engineering matters and the commercial arrangements that fund and support them. James frequently advises builders, developers and specialist sub contractors with disputes on NEC2, NEC3, PPC 2000 and a whole host of various JCT contracts. He has built up real experience from many of adjudications and familiarity with ADR in construction and commercial disputes. As counsel he seeks to match a robustly commercial approach with the rigorous demands of document-heavy commercial and construction disputes. Successfully resisting c.£10M claim against a Housing Association by its framework “partner” who provided planned and reactive maintenance for tens of thousands of properties. The action progressed with great intensity from a set of payment claims across two contracts to concurrent adjudication of the issues and, ultimately, after a successful defence, a clean break settlement. Assisting an Academy operating from premises constructed as part of the “Building Schools For The Future” initiative to hold its partners to account for the rectification of major and minor defects. That meant working with the Local Authority and Contractor to break deadlock and achieve a commercial outcome. Advising a Housing Association on the conclusion of its framework agreements following extensive change and dispute during the course of the framework. Successfully enforcing an adjudicator’s decision in the High Court (TCC) against a local authority who claimed that the decision had been reached by an adjudicator acting under the wrong rules (Sprunt v. Camden  EWHC 3191). Advising an M&E Sub-Contractor working on a large power station with respect to high value claims both up and down the supply chain. Multi Track trial successfully securing judgment for an unpaid Sub-Contractor. Multi Track trial concerning defects in a domestic property and little common ground on an extensive Scott Schedule. Steering a developer client through the successful conclusion of a multi-phase/multi-unit resi scheme avoiding both adjudication and litigation despite a near total lack of traction with the procedures in the JCT contract used. Representing a specialist M&E main contractor in adjudication proceedings brought by its specialist M&E Sub-Contractor concerning a very high profile retail development in the City of London. Representing a specialist fire stopping contractor in an action brought by its Sub-Contractor concerning works on a new tower in the City of London. The matter was successfully resolved through mediation. Junior in a matter with serial adjudications between a government agency and its contractor who were attempting to use an NEC3 contract. Advising a Developer/Contractor in a series of disputes with its regular sub contractor across a series of new build projects in several jurisdictions. The case was successfully settled at mediation. Advising a farmer in a case of contaminated feed caused by defective plant. Difficulties in establishing causation were overcome with an extensive Scott Schedule making reference to the expert vet’s evidence. The matter was successful resolved in mediation. Frequent appearances representing clients chasing (or contesting) payment on commercial contracts and sale of goods/supply of services agreements. Frequently acted on matters where High Court Enforcement Officers conduct of enforcement has been challenged and have appeared in the High Court and County Court for officers in such cases and on interpleader matters. Before entering private practice James worked in-house in the construction and engineering sector for two of the leading construction consultancy companies in the UK. Whilst an associate at Arup he led the team that advised the Office for Government Commerce on how JCT 2005, NEC3 and PPC 2000 standard form contracts measured against the Government’s Achieving Excellence in Construction Agenda. His experience as company secretary of one of the UK’s foremost renewable energy businesses gave him experience of working for an innovative, entrepreneurial company that operated in a highly regulated market. He has worked on construction projects and developments around the world as well as numerous high profile UK projects. He is a member of the RICS’ ISURV editorial board for construction. Whilst an Associate Director at Cyril Sweett he wrote “JCT 2005: What’s New” published by RICS with subsequent editions for the 2011 contracts being published online by the RICS. He contributed a chapter to the ICE’s 2015 publication“NEC3 Compared and Contrasted” focussing on NEC consultancy contracts. 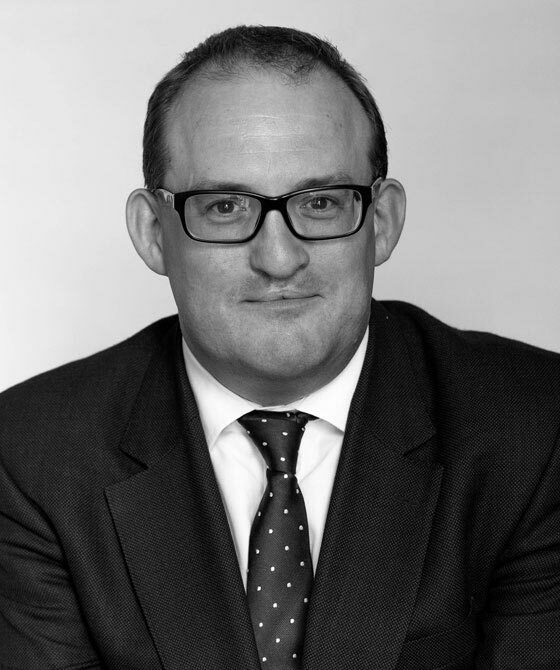 James is an accredited mediator and adjudicator and is a member of the Tecbar Adjudication Panel.